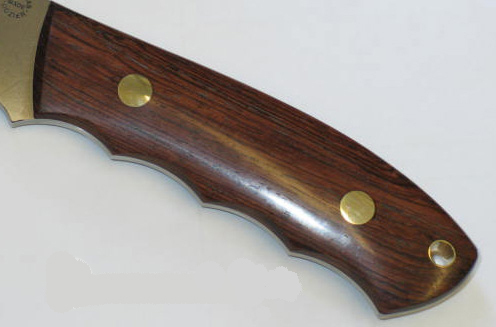 African Blackwood has a fine, even texture, with small pores; the grain is typically straight, often completely black, with little or no discernible grain. Occasionally slightly lighter, with a dark brown or purplish hue. African Blackwood is considered to be among the hardest and densest of woods in the world and is more stable and resistant to movement and warping than other types of ebony. Cocobolo is a tropical hardwood of the tree Dalbergia retusa from Central America. Only the heartwood is used: this is typically orange or reddish-brown in color, often with a figuring of darker irregular traces weaving through the wood. Cocobolo is oily in look and feel. This oil lends a strong, unmistakable floral odor even to well seasoned wood and occasionally stains the hands with prolonged exposure. It stands up well to repeated handling and exposure to water. Desert Ironwood only grows in the washes and valleys of the Sonoran Desert (Arizona) below 2,500 foot elevation. 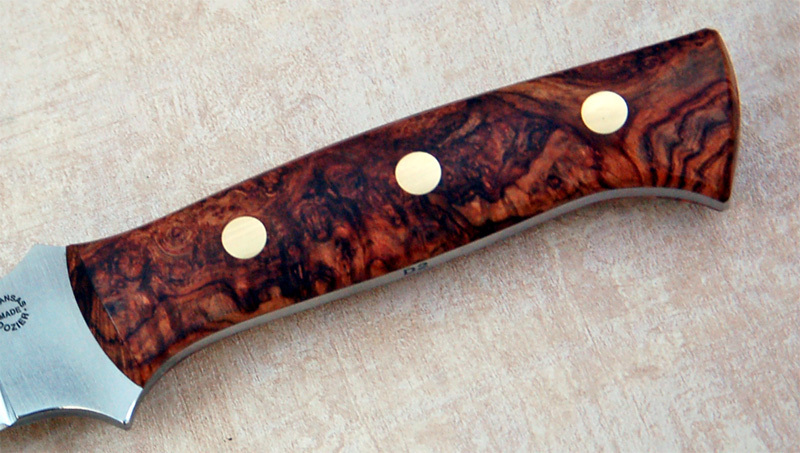 Desert Ironwood is one of the most beautiful and sought after woods in the world, and an all time favorite for custom knife makers. It has a very durable, tight grained figure, with a specific gravity of 1.2, making it one of densest and most stable woods on earth. 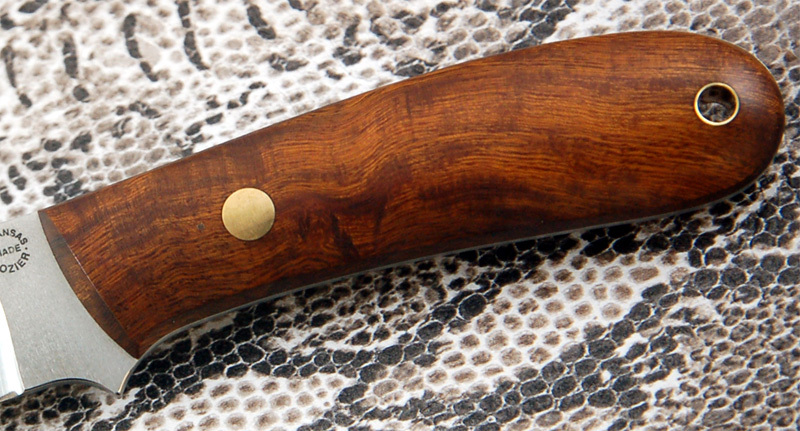 Ironwood does not splinter when shaping and it holds a great translucent finish. A burl is a tree growth in which the grain has grown in a deformed manner. Burls yield a very peculiar and highly figured wood, prized for its beauty by many. 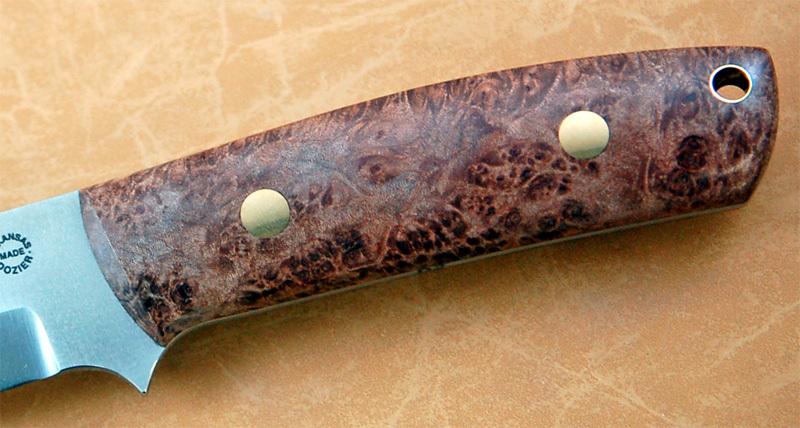 This "wild grain" makes burl wood extremely dense and resistant to splitting. Brazilian Rosewood produces a very hard and heavy wood, characteristically varied in colour from brick red through various shades of light chocolate brown to very dark violet brown with veins of black creating random lines and a highly prized figure called 'spider webbing' or 'landscape'. The wood of this species has been much sought after since it was first introduced to the European and subsequently the world market hundreds of years ago. 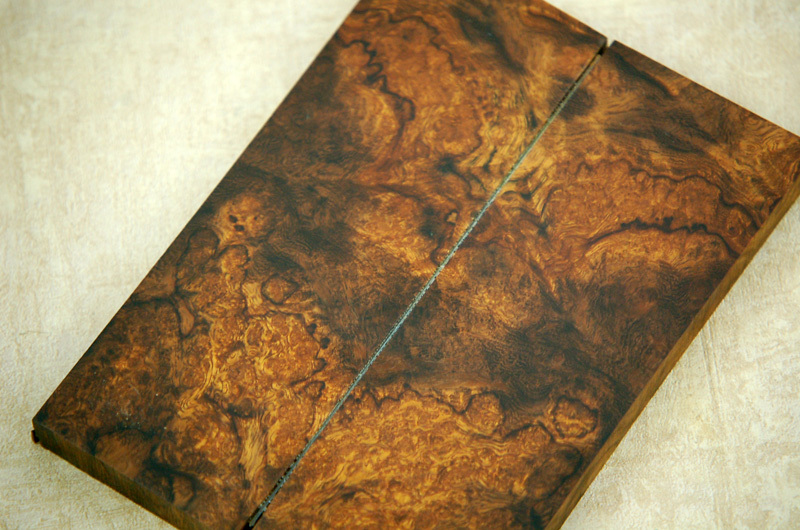 Exhibition Grade = Our finest color and contrast with maximum burl patterns and exotic grain figure.